The time has come!! 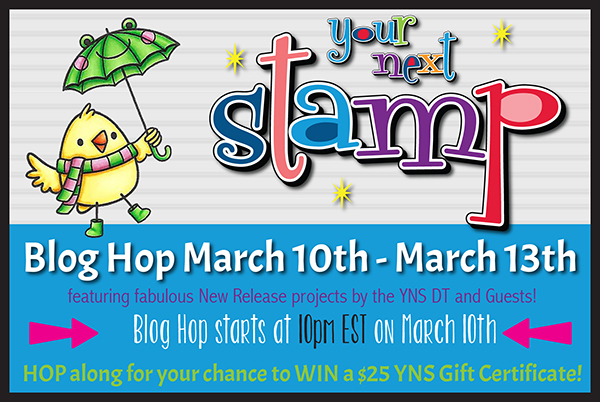 It is the March release and blog hop for Your Next Stamp. 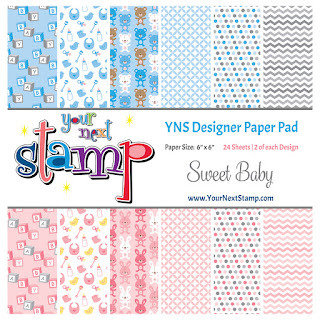 There is so much cuteness and fun packing into this new release that you are sure to find more items for your stash. For my first and second creation to share with you are some that are made with the new set called All Aboard Bouncing Baby. 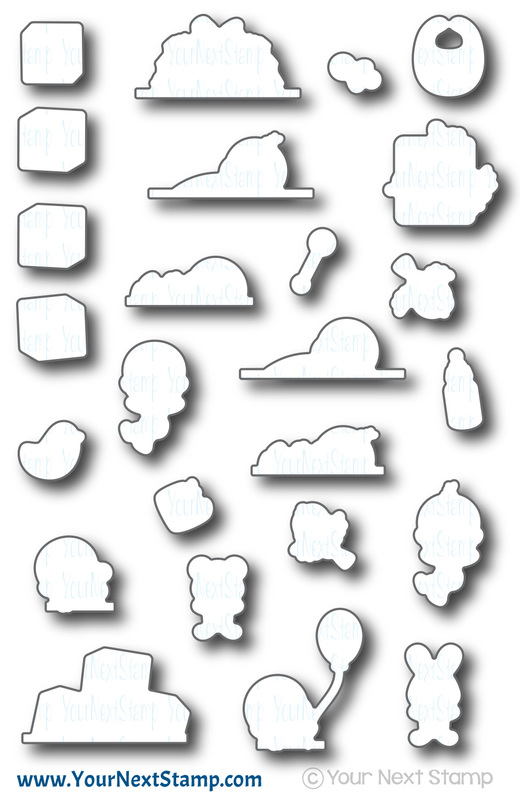 I think this set is perfect for tags, gift enclosures, and peek-a-boo style cards. I created both gift enclosures and a tag using a few images from this set. 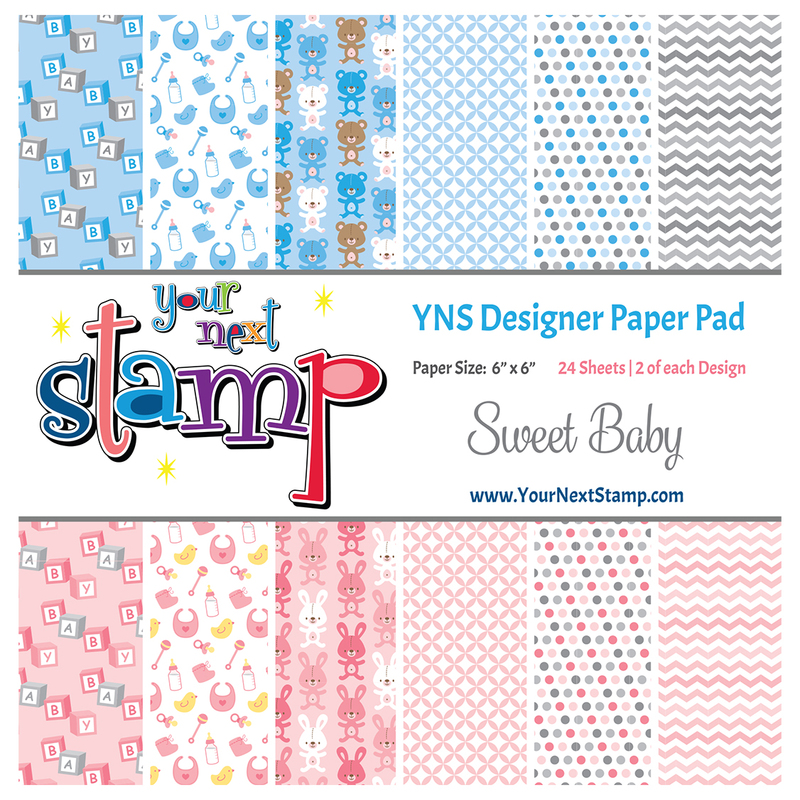 For the back panel of the gift cards, I used some the new YNS paper pad of Sweet Baby. 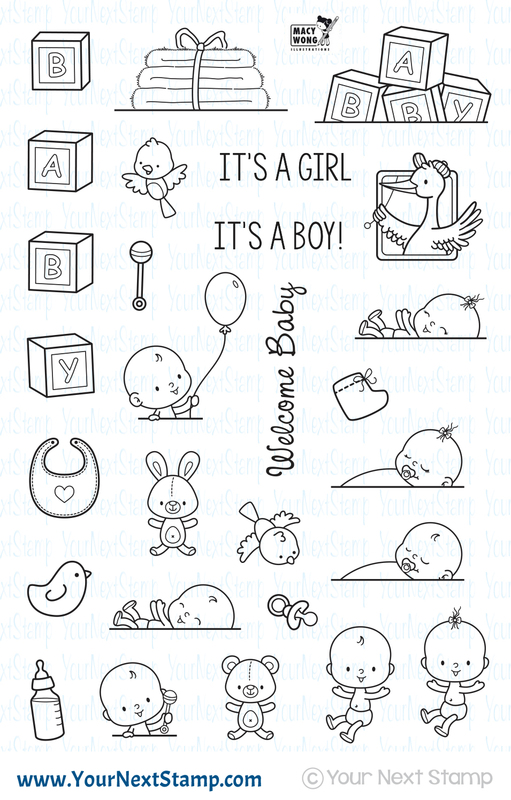 It doesn't matter if you need something for a boy or a girl because this paper collection has you covered! For the top panel, I cut out some cardstock using the Stitched Frame Die and used my MISTI to place the image where I wanted it in the frame. The images were colored with Copics and finished with a couple of other images to pop up. 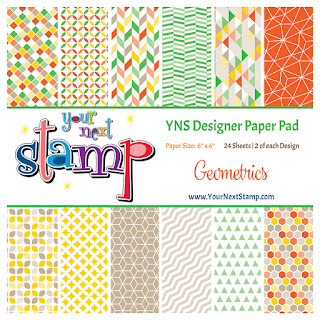 For the tag, I kept it fairly simple using more the new paper collection and the Cool Tag 5 set. The sentiment was stamped on the center panel before popping it up and adding the image to the bottom. 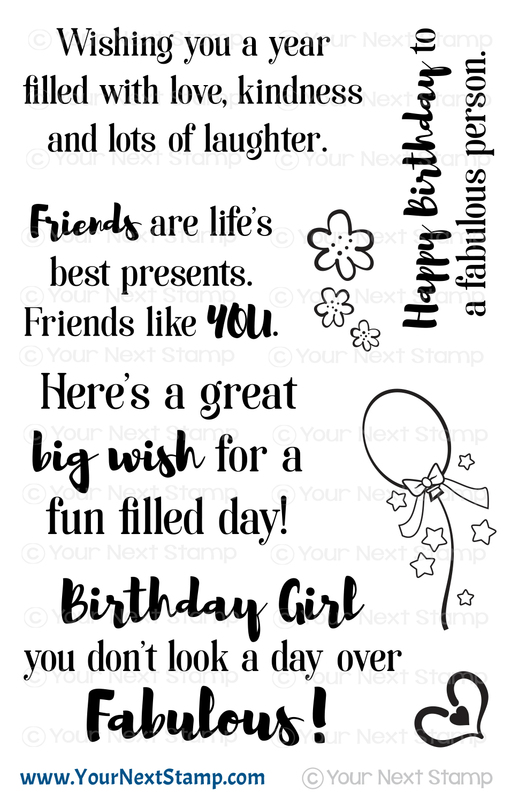 For my next card, I am using the new Whatnot Sentiments 12 to create this fun birthday card. 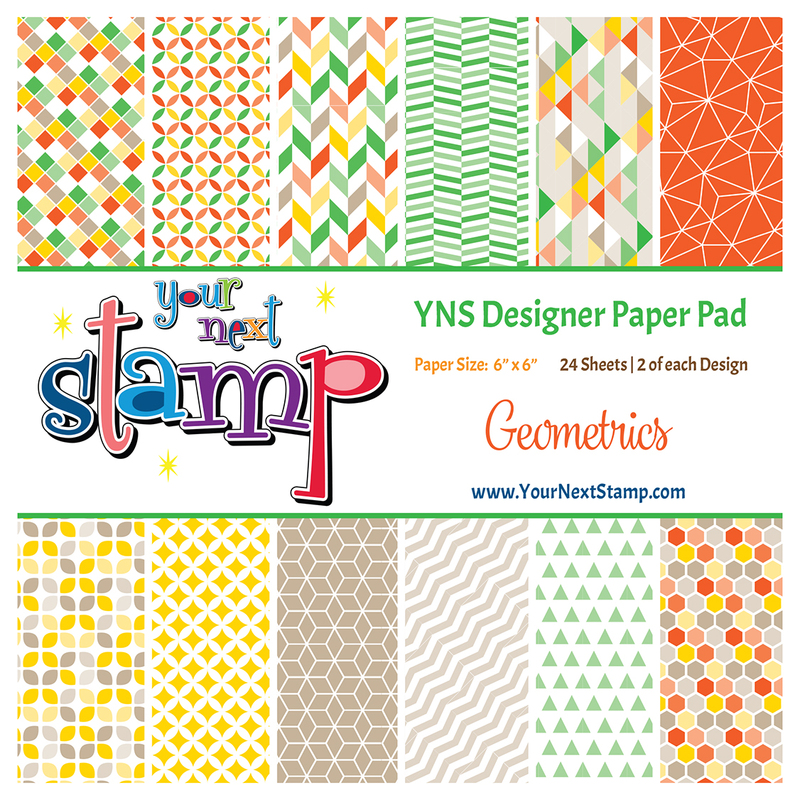 I layered the panels using the Stitched Rectangles die set and another new YNS Paper collection called Geometrics. SO fun! This is a card you can whip up quickly using this sentiment set and starburst dies. So many possibilities. 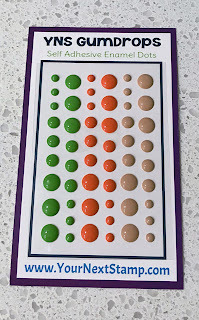 The card was finished with some of the new yummy Carrot Cake gumdrops. 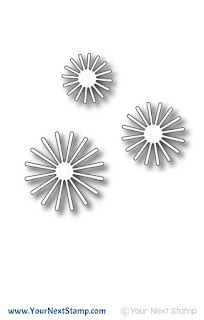 As always, Karen has a fabulous sale to get everything on your wishlist without breaking the bank! Use the online code above for 20% your entire purchase!! Hurry before your favorites sell out. 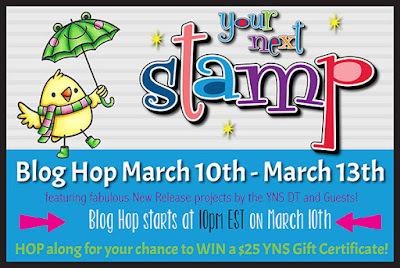 Thanks so much for hopping in and don't forget to leave a comment for your chance at winning a YNS Store gift certificate! love the sentiments in that set and the cards you made are so great! Awesome projects! Love those sweet baby cards! All your projects are so sweet. The baby is adorable. Thank you for sharing. that baby tag is so cute! Lots of lovely creations you made. Love them all! Super cute cards and tag. I love the shape of the tag. Great use of the new paper pads. Great job... I love them all! So cute! Your cards and tag are really awesome ! 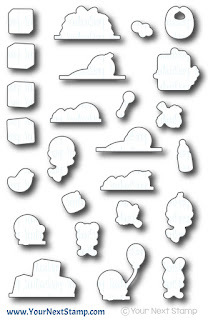 The sentiments stamps set is really a great one. lovely cards! Your sentiment card is awesome so vibrant and clean! Such sweet baby cards. 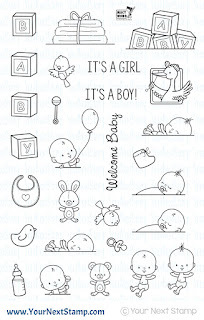 The baby pattern paper is adorable. 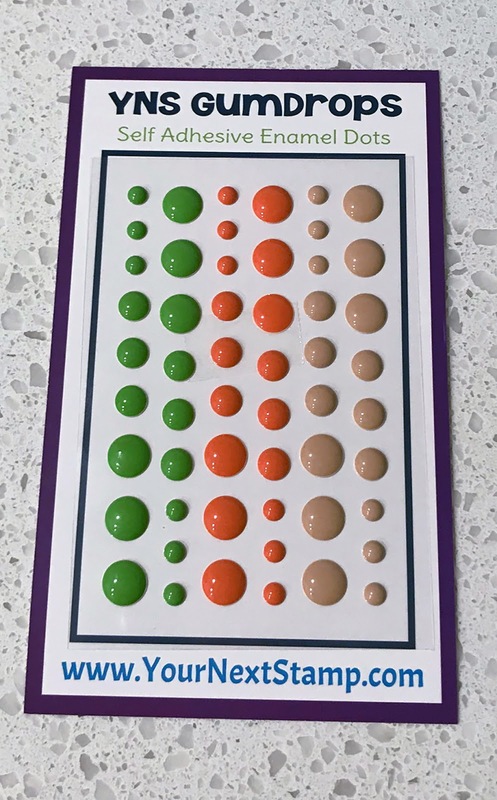 Great color choice in the birthday card. Beautiful cards! I also struggle with baby cards so I'm especially excited about this set and the paper pad.......love it!!! 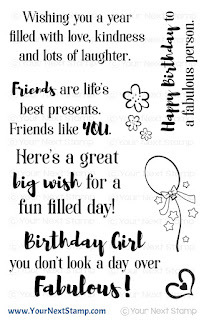 Cute baby card/tag designs and fun birthday card. Thanks for sharing your great projects. Love the adorable baby cards. I love those babies. 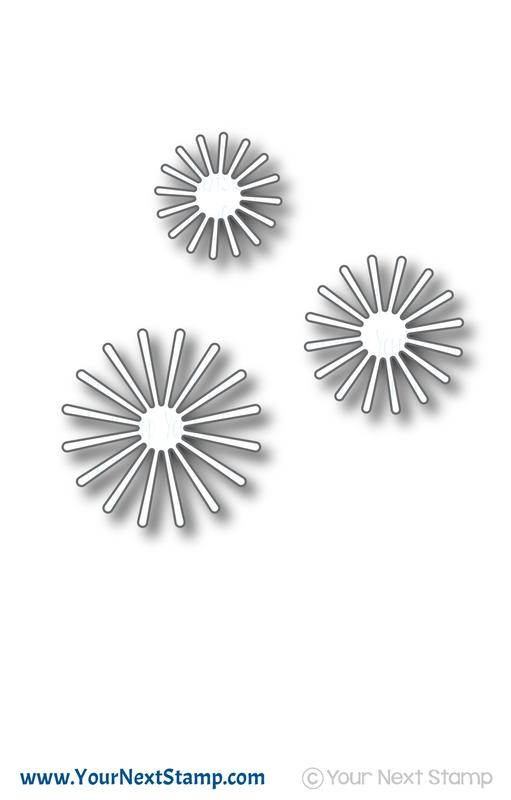 I think I need them! 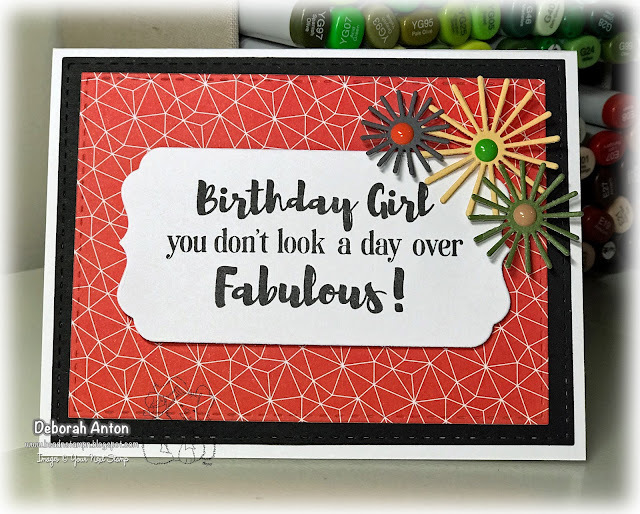 The Birthday Girl card is fabulous! Love the fun sentiment and the vibrant elements and colours!! Cute baby cards! The new papers and gumdrops ate great. the baby card is so lovely and cute!! 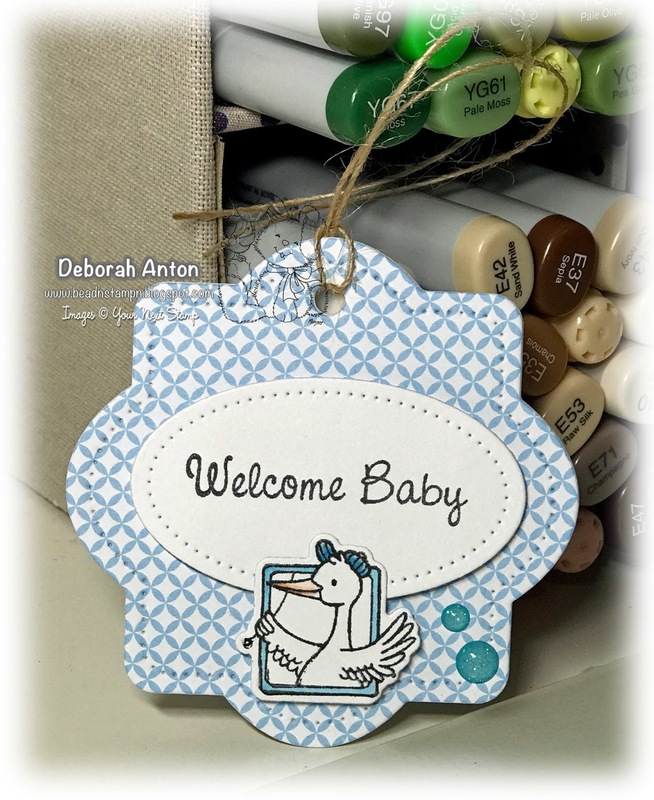 Baby tag is adorable and your baby cards are so sweet! Fantastic cards! I love that birthday card! Those baby projects are so adorable! Sweet! Lovin this precious baby set! You’ve made sweet creations !